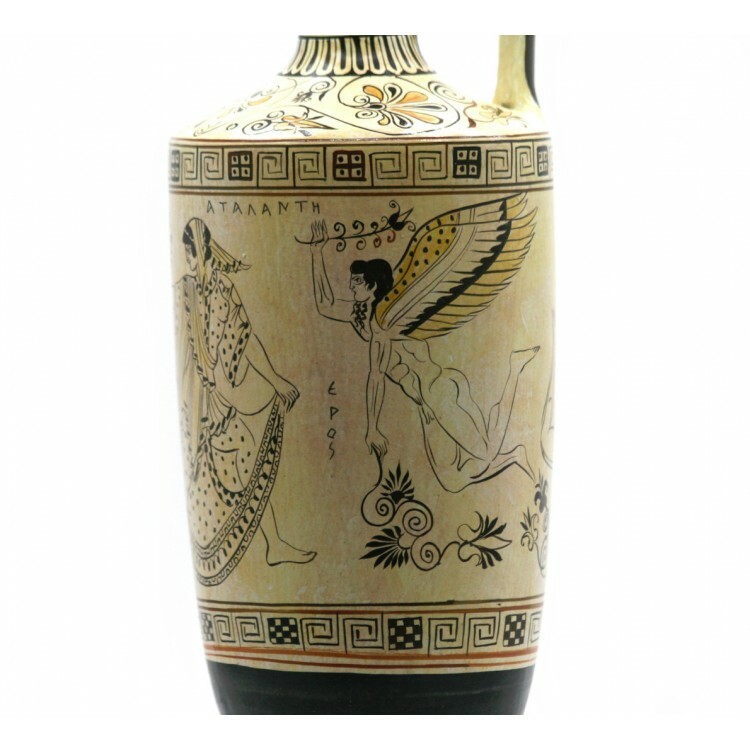 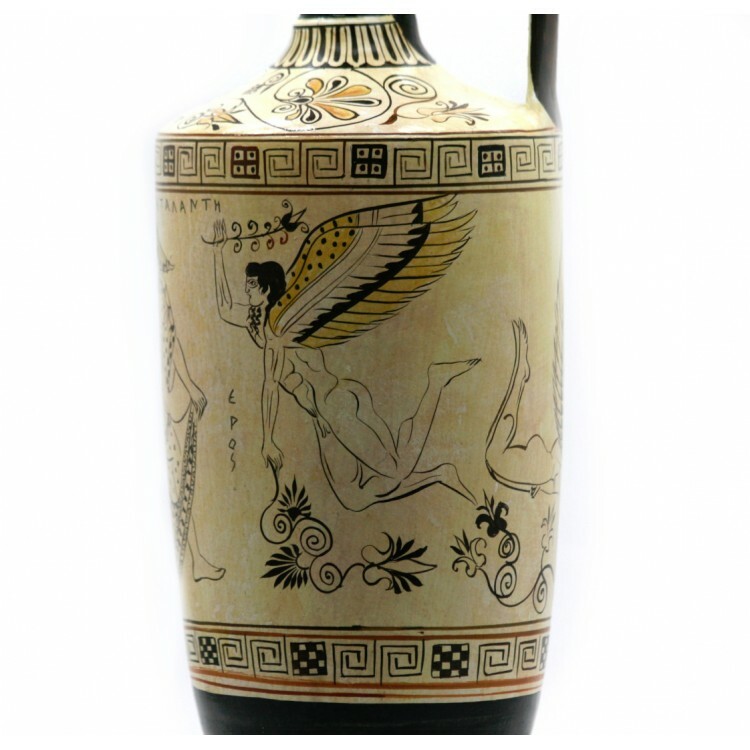 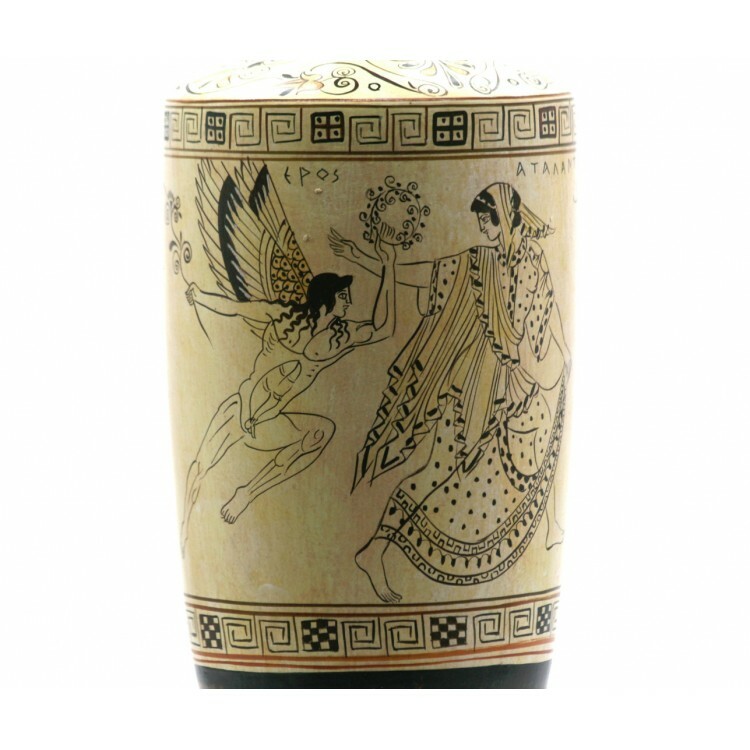 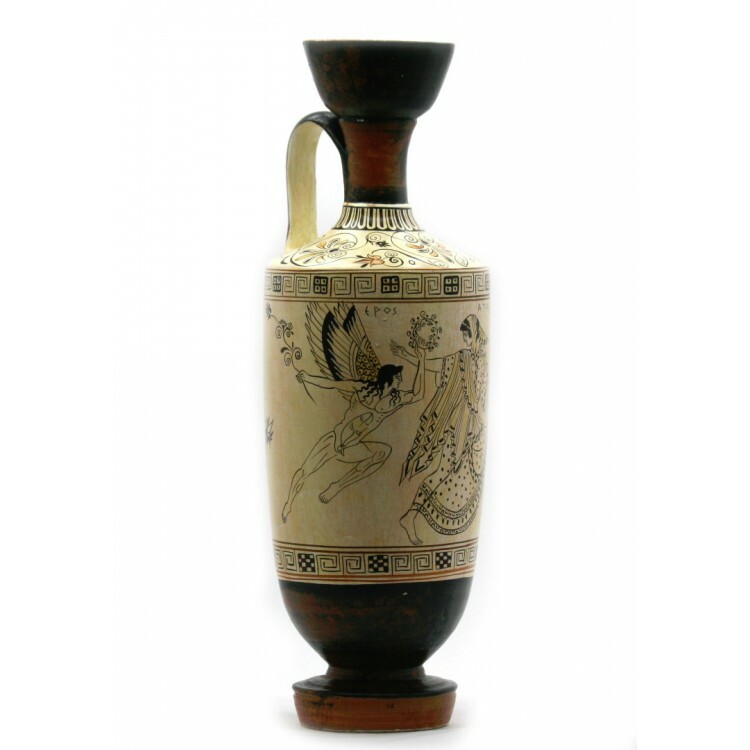 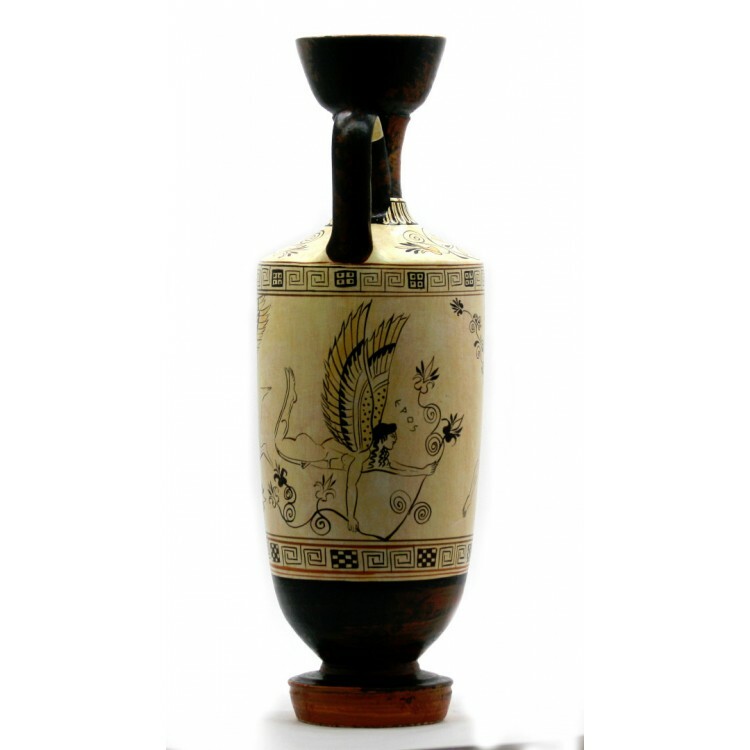 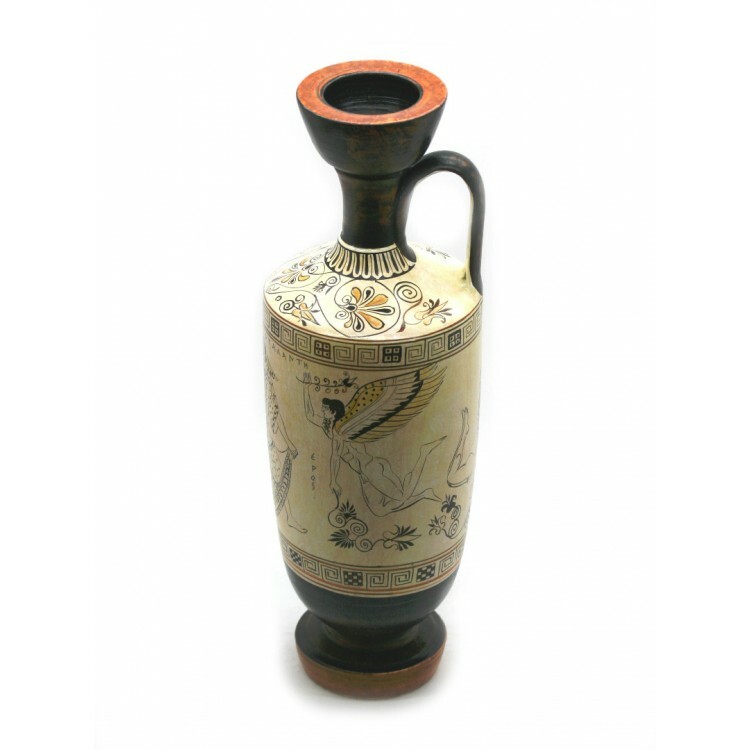 Our vase is a copy of the famous ancient Greek Attic white ground lekythos known as « The Atalanta Lekythos)» , ( 500 B.C.) 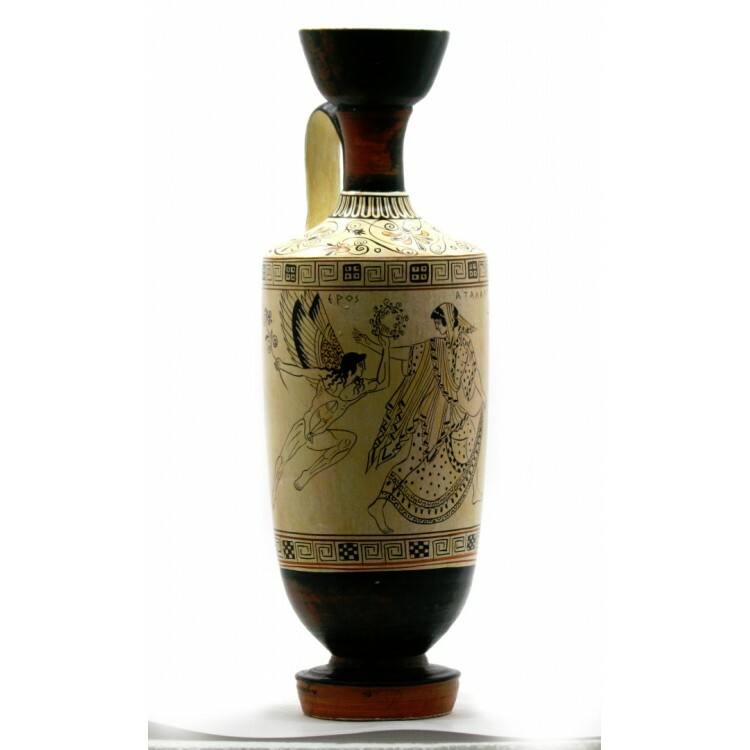 , which is exhibited in in the Cleveland Museum of Art, Cleveland, Ohio, USA . 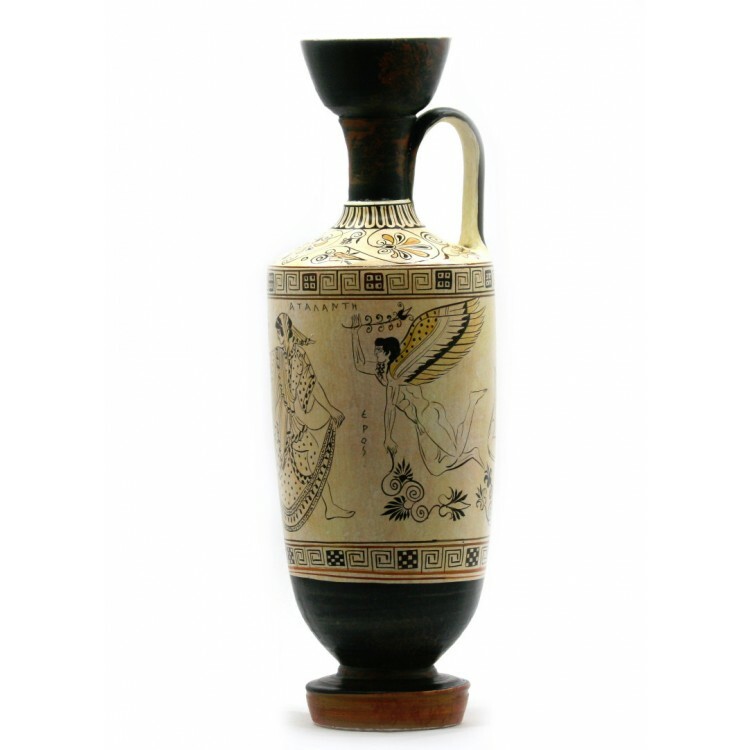 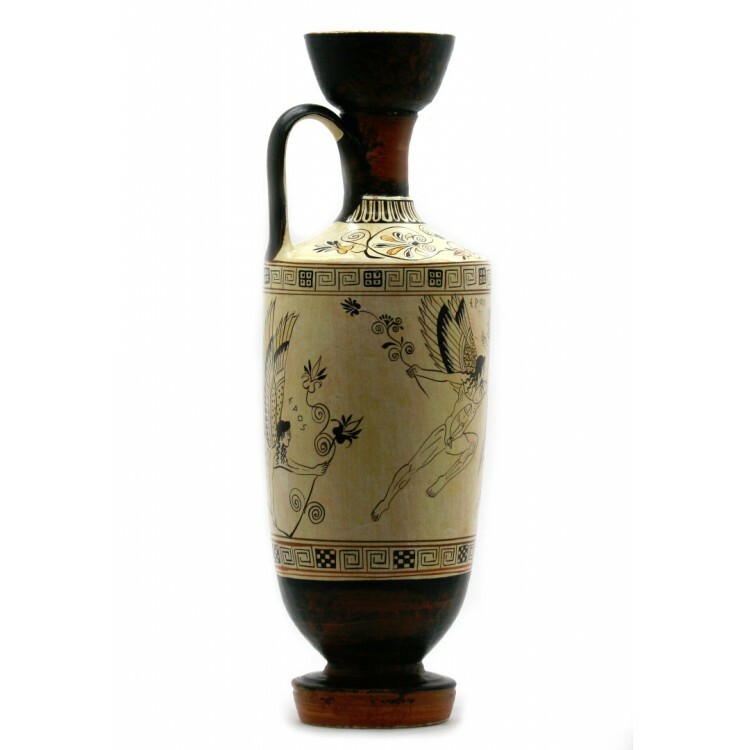 The extraordinary intact conditon of the fragile white ground and the spirited yet delicate drawing have made the vase renowned as one of the finest white ground lekythoi in existence. 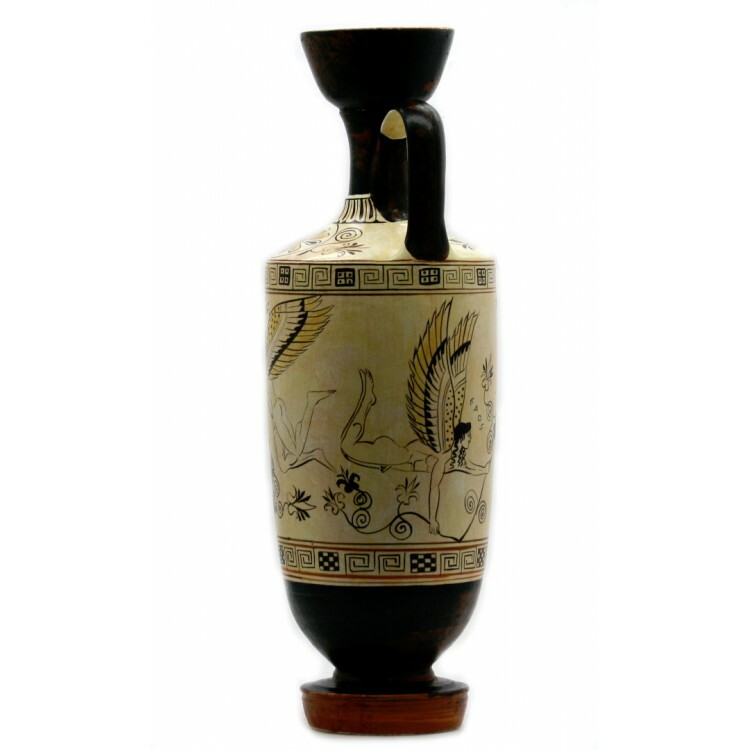 Atalanta, who would marry only the man who could beat her in a foot race, is here being teased by three Erotes, winged gods of love. 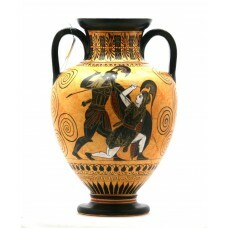 Each figure is identified by name: EPOS and ATALANTE. 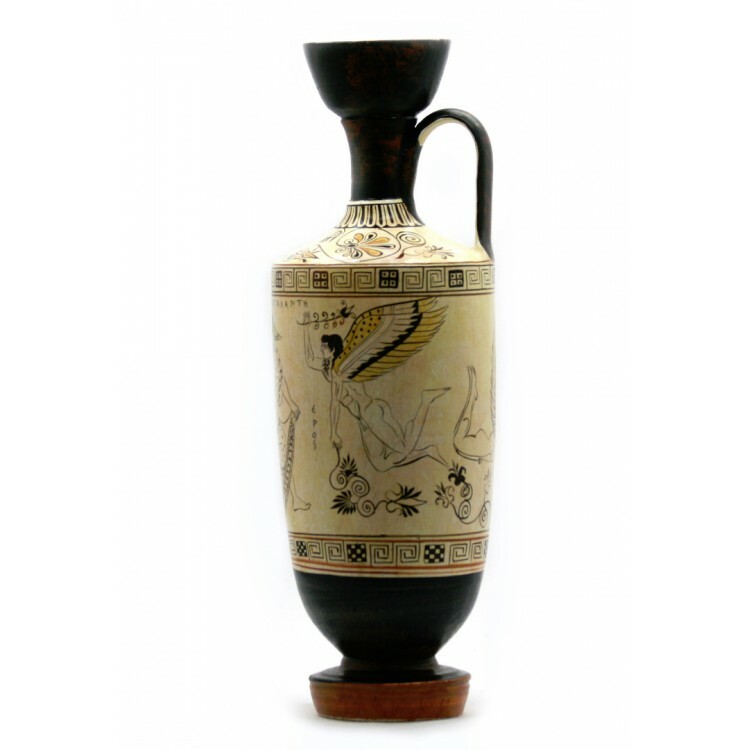 Douris was an Athenian vase painter who was active from about 500–460 BC. 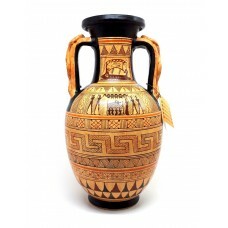 Please note this article is an artist's REPLICA and NOT a genuine ancient artifact!! 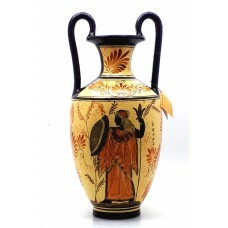 ..
* MADE IN GREECE - HANDMADE - HAND PAINTED * Dimensions (approximately): Height : 25 cm &..